Carrianne Leung's novel examines the diplomatic breakdown of a suburban community. 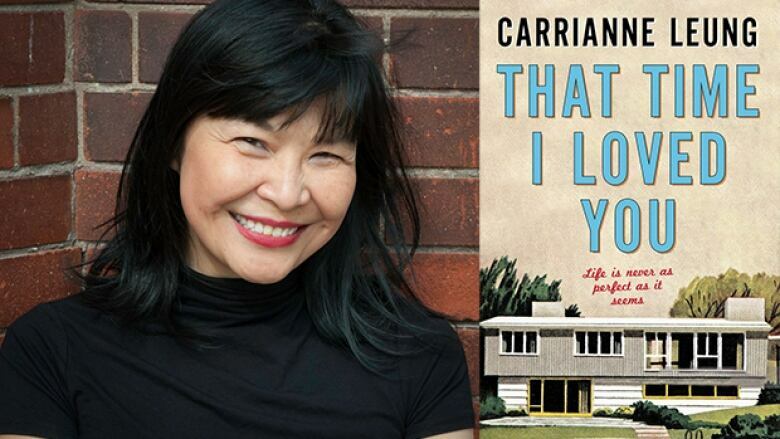 That Time I Loved You by Carrianne Leung is on the Canada Reads 2019 longlist. Canada Reads 2019 is about finding one book to move you. The final five books and the panellists defending them will be revealed on Jan. 31, 2019. Read more of Carrianne Leung's interview with CBC Books. My street, like the rest of the subdivision, was brand new. Most of the neighbours had moved in four years ago, right after the houses were finished. My parents loved the neat grid of black road, the bright white stripes to differentiate the lanes, the chain-linked fences that divided our properties but gave us views into the neighbours' yards, the young, weeping trees lining our streets. They said you couldn't get "all this" in Hong Kong, where everybody was crammed on top of each other in tiny apartments, and they would sweep their arms to include whatever "all this" referred to, like showcase girls on The Price is Right. They were always saying, "June you don't know how lucky you are that you were born here and not there." Mom and Dad had come to this country on student visas 15 years ago, but the way they told it, it was like they were fresh off the boat. But I suppose they had lived in the city for those years in crammed apartments, and moving out here to the suburbs, Mom and Dad finally got some land. Even though it was only a square lawn and a rectangular backyard, this was a big deal. Land was land. From That Time I Loved You by CarrianneLeung ©2018. Published by HarperCollins.